"Direct from London's West End, award winning actor Dean Elliott (Buddy Holly in Buddy - The Musical) and a full cast of performers tell the compelling story of the greatest music duo of all time. 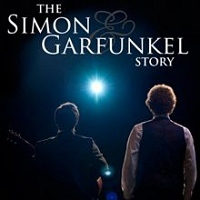 Using both original photos and film footage, The Simon and Garfunkel Story also features a full live band performing all their hits including "Mrs Robinson", "Cecilia", "Bridge Over Troubled Water", "Homeward Bound" and many more. If you're a fan of beautiful music then this is an evening not to be missed!"